Clevite is an American brand with one of the strongest traditions for American commercial vehicles and provides pistons, assemblies, cylinder liners, plain bearings, valves, and an extensive range of additional engine reconditioning products. 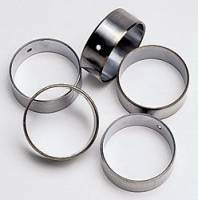 Clevite bearings exceed industry standards and can be found in most Nascar race cars. Get your Clevite bearings from the name in performance, Butler LS.